Located in Dyce – a suburb of Aberdeen, Scotland – you’ll find Aberdeen International Airport. With one main passenger terminal, which saw over three million travellers pass through its doors in 2016, the international airport is located a short five-mile drive from the centre of Aberdeen. With over 40 international destinations including Malta, Oslo and Lapland, the airport is expanding to keep up with customer demand for a diverse range of destinations; Aberdeen International is currently undergoing an extensive redevelopment, providing a comprehensive range of passenger facilities, and increasing the size of the current airport terminal by 50%. Aberdeen International Airport has excellent transport links, including bus routes, and rail links into the centre of Aberdeen and beyond. 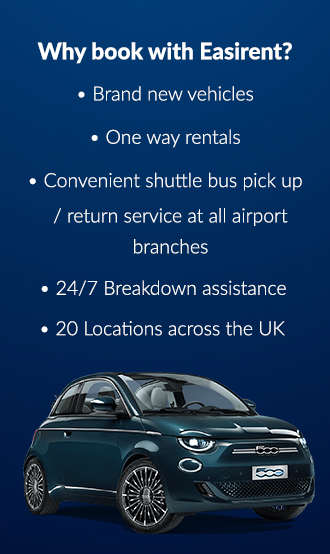 There is also opportunity to hire a rental car for your trip and make the most of the rolling Scottish highlands. 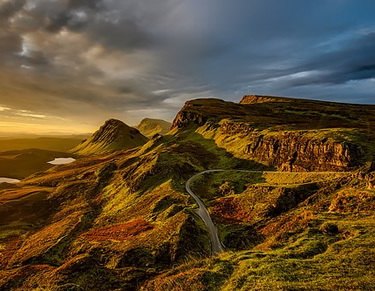 At Easirent we have the best deals for Aberdeen Airport car hire including small and family economical hatchbacks and also larger SUVs for that week long trip travelling around the breathtaking landscape of Scotland. 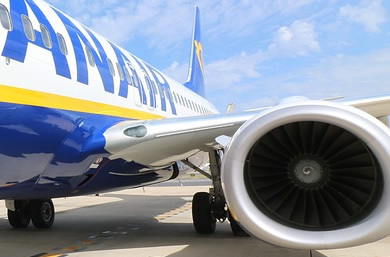 Owned and operated by AGS Airports, which also operates Southampton Airport and Glasgow Airport, Aberdeen International Airport was formerly operated by Heathrow Airport Holdings, and is a base for several airlines, including: BMI Regional, Flybe, Loganair and Eastern Airways. The airport also acts as a base for the main heliport for the Scottish offshore oil industry, and – aside from the main passenger terminal which caters for scheduled and charter holiday flights – there are four other terminals which serve as a base for North Sea helicopter operations. The airport has a rich history, having served as a Royal Air Force station during the second world war; known as RAF Dyce, the airport was home to British fighter planes, which were stationed there throughout the Battle of Britain, to serve as protection from imminent attacks from occupied Norway. A notable piece of Aberdeen Airport’s history dates back to 1943, when a German Junkers Ju 88 fighter-bomber landed in the airfield in order to defect to the Allies; the aircraft was utilised as a source of much information during the latter half of WWII, and today, can be found on display in the RAF Museum in London. Aberdeen International Airport is in the midst of a large scale regeneration project, which will see the terminal expand by 50% to include a range of new and improved features for travellers. The improvements will include new immigration facilities for international and domestic arrivals; a larger and more enhanced security search area; and an all-new retail and catering layout for passengers spending time in the departure lounge. There will also be an overhaul of the domestic and international baggage reclaim facilities and an additional two business lounges built. The first phase of the redevelopment started in mid-2016, following the demolition of a disused airport building in 2015. This part of the development will see the introduction of a two-storey extension to house the new arrivals and immigration facilities, and the two business lounges. During the airport renovations, there will be disruption for passengers, but temporary facilities will be put in place – make sure to check Aberdeen Airport’s social media channels for updates on the progress, and the best places to go to avoid the disruption. Upcoming changes to the airport layout will see an enlarged security search facility and a reconfiguration of the departure lounge landing in 2018; and 2019 will see an expanded departure lounge which will create more space for Aberdeen Airport passengers to explore and relax. Aberdeen’s airport lounges are a great place to while away the hours whilst waiting to catch your flight. With locally brewed beers available, and fabulous panoramic views across the runways, Aberdeen Airport delivers a locally-inspired experience for travellers, so expect to find the best of Aberdeenshire produce and exports on offer. The Northern Lights Executive Lounge is one of the most recent additions to the airport, offering a unique airport experience, aiming to make your visit to the airport as stress-free as possible. Book your ticket to the lounge in advance and in return you’ll receive a personalised service, providing a locally-inspired food menu, which has been endorsed by Aberdeen’s ‘Kilted Chef’, Craig Wilson. Alongside the diverse, locally-sourced food offering, there is a wide range of drink options which include some famous Aberdeenshire exports, including BrewDog craft beer, Gordon Castle Gin and a whole wall of whiskeys local to the region. If you want to upgrade your experience, there are champagne and prosecco packages available, which can be found on the airport’s website. Travellers can find the Northern Lights Executive Lounge in the brand-new airport extension just after you’ve been through security. As well as the airport’s Northern Lights Executive Lounge, there are also dedicated airline lounges for frequent fliers and airline club members. If you’re looking to book into the British Airways lounge, or the Eastern Airways lounge, more information can be found on the respective airline’s websites. One of the biggest draws of visiting an airport, is the opportunity to spend tax-free money in the shops, and Aberdeen Airport is no different. There are several shopping outlets where you can pick up a bottle of your favourite fragrance, or your favourite tipple, and technology outlets for great gadget offers. Inside the departure terminal you’ll find a Boots outlet, so whether you’re after perfume or a meal deal, this is the place to go. WHSmith is on hand for puzzle books, newspapers, books and magazines; and Dixons travel is onsite to provide you with all of your technology and gadget needs. There is also an art shop on site – Gallery Heinzel, for an alternative arty gift. Of course, there is a World Duty Free store situated just after security in the airport; and you’ll be able to find currency converter shops at the airport, with Travelex Worldwide Money taking up shop fronts both before and after security. Make sure to familiarise yourself with the customs allowance before you make any expensive purchases, as different worldwide destinations offer differing allowances on what you can take into and out of the country. Aberdeen Airport has an abundance of eateries and watering-holes for travellers at any time of the day. Got an early flight? No problem – there is an outlet service breakfast; and you’ll be able to find food at any time of the day in the airport’s dedicated departure lounge. The Granite City is the Aberdeen airport branch of Wetherspoons, and serves up food options from noon til night, alongside a wide variety of drinks – this selection of course includes Aberdeen’s famous BrewDog beers. Joes Coffee House is the perfect spot to take a seat and sip a coffee before boarding your flight; it’s also the place to go for a quick bite, if you’re not looking for a big meal. For home-cooked comfort food, make sure to visit The Kitchen, Aberdeen Airport’s food offering, which has a wide range of food options for all the family, The Globe Freehouse is another food outlet in the airport, and has recently updated its menu to offer a diverse range of fresh, local produce; the Globe Freehouse can be found after you’ve passed through airport security. If you’re after a coffee once you’ve passed through security, you’re in luck as there is an Aberdeen Airport branch of Costa Coffee to quench your thirst, and provide you with that much needed caffeine boost to set you on your way. There are plenty of services and facilities available at Aberdeen International Airport, from left luggage to special assistance, lost property to family facilities. The airport’s main terminal opens at 3:30am – or two hours before the first flight departs – and closes after the last arrival. Take note that overnight stays in the terminal are not permitted, so if you need to stay overnight at the airport, make sure that you book a hotel in the airport’s vicinity before your trip. 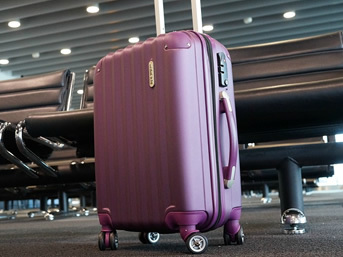 If you need to leave any luggage at the airport, there is a left luggage service available. Simply take your items to the left luggage desk, which is located in the check-in area, and the service will cost you £8 per item, per day. Operated by G4S, the service is a safe and secure spot to store your items, and each item will be subject to a security search before it is placed in storage. Travelling with children can be tricky, especially when waiting in an airport for a few hours. At Aberdeen Airport there are plenty of family friendly facilities, including a children’s play area, which can be located by Gate one, as well as a selection of children’s toys available in the Gate ten lounge. There are also five baby changing facilities located across the airport, and can be found both before and after passing through security – make sure to ask a member of staff for your nearest changing facility. Passengers requiring special assistance at the airport will need to inform a member of the airport staff before they arrive (if help is needed beforehand), or on arrival if it is assistance in the terminal that is required. Aberdeen Airport offers wheelchair assistance from an agreed point, and provides help to passengers with transportation through the airport, to embarking the aircraft. Mobility assistance is available in the form of electric mobility aids – the security staff at G4S will be on hand to tailor your assistance to meet your needs. Other types of assistance is available to passengers needing deaf or blind assistance; intellectual or developmental disability assistance; or those requiring an assistance dog. It’s important to note that an assistance dog will need to be booked prior to arriving at Aberdeen Airport, and can be booked through your chosen airline. For travellers who wish to smoke at the airport, make sure to visit the terminal’s designated smoking area, which is located adjacent to the main departure lounge. To use the facility, passengers are required to pay £1, which will be used to fund the upkeep of the smoking facility. Smoking anywhere other than the designated smoking areas of the airport are strictly prohibited, and anyone caught smoking outside of these areas will be issued with a fixed penalty fine of £50.